Seagrass is grown in salt flood planes, which enables this hardy plant to grow. as a plant and woven into herringbone, panama and basket weaves. 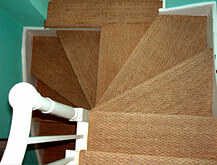 means it’s more difficult to stain than other natural floorings made from plant fibres.